LONDON – Brexit Secretary David Davis, who has been leading negotiations for the UK to leave the EU, has resigned from the UK government. 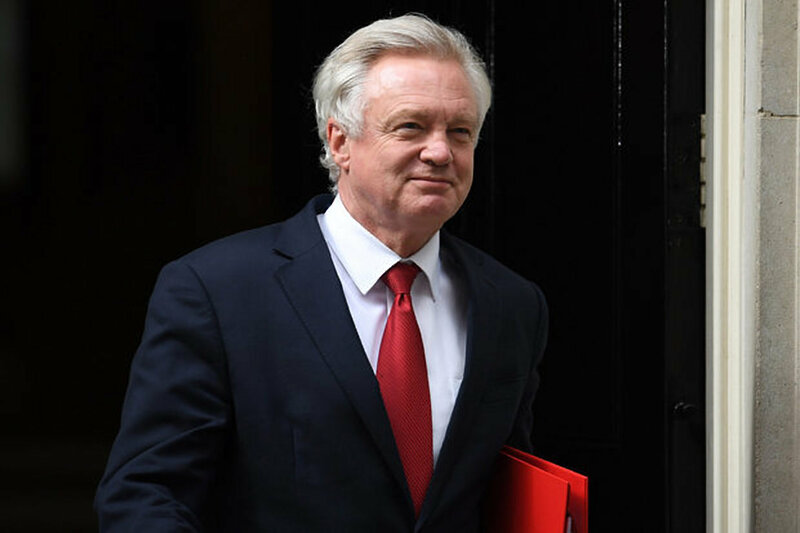 In his resignation letter, Mr Davis criticised the Prime Minister Theresa May’s Brexit plan – agreed by the cabinet on Friday – saying it would leave Parliament with “at best a weak negotiating position”. The UK cabinet Friday reached a “collective” agreement on UK’s future relationship with European Union subsequent to the Brexit. UK Ministers signed a plan to create a free trade area for industrial and agricultural goods with the bloc, based on a “common rule book”. The agreement was described to amount to “combined customs territory”. Our political editor at BBC alleged that the prime minister had “picked a side” by opting for a closer relationship with the EU than many colleagues desired; a highlight that seemingly triggered Brexit Secretary David Davis to resign. She said she was “sorry” he was leaving but would “like to thank you warmly for everything you have done… to shape our departure from the EU”. Labour leader Jeremy Corbyn said Mrs May was “incapable of delivering Brexit”. Notwithstanding Prime Minister Theresa May’s stand against Brexit, the referendum result was in favour; a reflection of the say of the people in Britain. Her key message has been that “Brexit means Brexit” and she triggered the two year process of leaving the EU on 29 March, 2017.